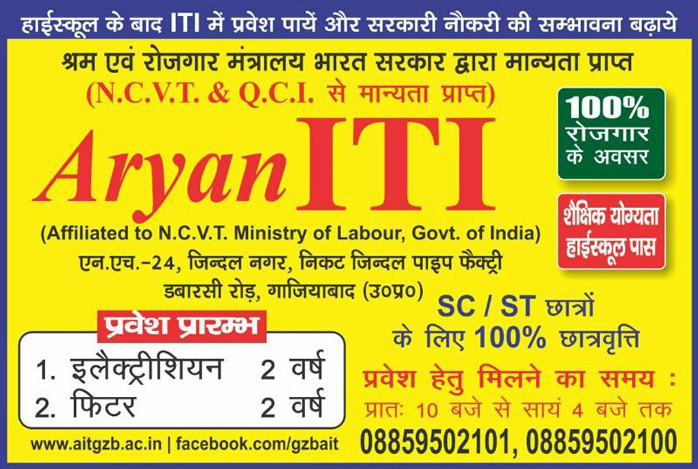 Aryan Private ITI is accredited to Directorate General of Employment & Training (DGET), New Delhi; National Council for Vocational Training (NCVT), New Delhi; and approved by Quality Council of India (QCI), New Delhi. 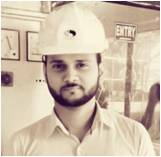 In this trade, the trainees are trained primarily to perform various types of electrical operations and maintenance jobs like, domestic and industrial wiring, usage of electrical instruments, installation and maintenance of AC and DC machines, applications of different types of electronics components, performance measurement and control of different types of electrical machines and equipments, studying the various factors affecting the generation, transmission and distribution of electrical power, etc. So as to impart the most effective training, the theories associated with the practical assignments are thoroughly covered in the classrooms, prior to the commencement of the practical exercises in the workshop. The Electrician Instructors are extremely cautious to avoid any kind of electrical shock and accidents causing injuries to the students and damaging the machineries. The experiment performed by each student is evaluated on the basis of steps followed to perform the task, quality of work done, time consumed to complete the same, etc. The performing skills of the students are considered to be playing the crucial role for being selected in any formal selection process. Hence, special attention is given by our team of committed instructors to complete the job in the workshop. In this trade, the trainees are trained primarily to perform various types of mechanical operations like, marking, sawing, filing with different types and grades of files, drilling, welding as well as different types of operations that may be performed through a lathe machine. Special emphasis is given on the nature of skill and expertise required by the employers for the selection of the topics of practical assignments. In order to make the training most effective, the theoretical issues are thoroughly discussed in the classrooms and thereafter relevant practical assignments are allotted in the workshop. Suitable cautious steps are undertaken to avoid accidents and injuries at the workshop. The job performed by each student is examined on the basis of steps followed to perform the job, quality of work done, time consumed to complete the same, etc. 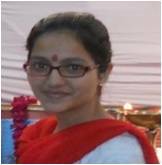 The performing skills of the students are considered to play the most crucial role for being selected in any selection process. Hence, special attention is given by the instructors to complete the assignments in the workshop. The vision of Aryan(P) ITI is to produce genius technocrat and managers with knowledge capital. The emphasis is to give both formal and informal education to our students so that they can make significant contribution in the nation building. The institution has well qualified and experienced faculty members alongwith well lighted classrooms and labs consisting of state-of-art equipment, hardware & software. The management is proactive and making all efforts to make Aryan(P)ITI a centre of excellence in education. The emphasis is on quality teaching, industrial exposure of students along with expert lectures. All academic activities are designed and implemented for the sole benefit of our students.